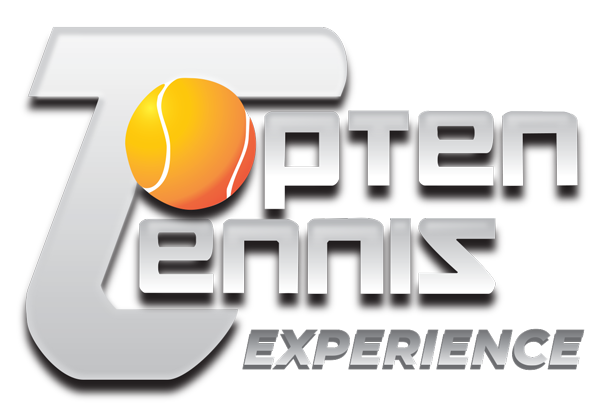 TOPTEN TENNIS school is created in September 2005. Lara Puig and Marcelo Wieliwis begin to work with a group of young players at the “Club Tenis-Squash Platja” in Platja d’Aro. In April 2006 the school is transferred to Tipi Park Sports Club of Santa Cristina d’Aro. Year after year and after a lot of dedication we are able to increase the number of players of all ages from 3 years old until 18 years of age. During the 2006 season we see the first teams representing TOPTEN enrolled in provincial competition. Since then the number of teams participating in competitions is constantly growing, until today where our players compete in all junior categories in provincial and Catalonian Championships. All along the competitive seasons, we have won 41 gold champion titles in different junior categories, we also reached 21 gold division junior finals. It is important to say that 2017 -18 has been a very good year concerning performance of our junior teams in Catalonian competition; these players hail from our tennis school since the first day they stepped on a tennis court, 2 champion titles and 3 finals in catalonia, puts us up to par with the best tennis clubs in the country, CT Barcino has been the other club to win as many titles. And, at last we cannot forget to mention that we have won 2 times the Catalonian team competition in silver division with our own home trained teams. And finally, something that really makes us keep on going, Topten Tennis School has been included in the top 25 best tennis academies of Spain by Tennis Europe. This recognition has been made based on performance results of our players in international competition. Paula Badosa (Begur), who won the french open, Roland Garros junior in 2015, climbing to nº 8 in the ITF World Junior Ranking, Aliona Bolsova(Palafrugell), who climbed to nº 4 in the ITF World Junior Ranking, qualified to play the year end junior masters, beating Jelena Ostapenko in 2014. Helena Jansen (Palamós), nº 60 U14 and nº 38 U16 in The European Junior Tour, and ended her junior career among the top 300 in the ITF World Junior Ranking. The Topten Tennis-Tipi Park school in Santa Cristina d’Aro has been included in 2015 in the list of the 25 best tennis academies in Spain by Tennis Europe, the official body that runs tennis in Europe. This distinction has been made based on the results obtained in the European and world circuit by local players and players trained in Topten Tennis. Paula Badosa (Begur), who in 2015 won the title of champion of the French Open, Roland Garros Junior and ranked No. 8 in the junior world ranking. Aliona Bolsova (Palafrugell), No. 4 in the junior world ranking 2014. Helena Jansen (Palamós), No. 38 in the sub 16 category of Tennis Europe 2015.